Linda has been practicing real estate on the Grand Strand since 1984. She began her career in Oceanfront Condo Sales with several of the area's top real estate agencies and quickly became a top seller. She obtained her Broker license in 1987 and grew her client base over the next 10 years. In 1996 she formed Well Built Homes Sales & Service with her late husband, Jerry Kiser, who was a skilled General Contractor specializing in high end custom residential homes. Together, they built and sold homes in Ashley Cove of Myrtle Beach Golf and Yacht Club for several years. After which they continued to build custom homes in various communities throughout the area including Prestwick Country Club, Blackmoor, The Reserve, Southwood, The Lakes, Surfside Beach, Myrtle Beach Area, Cypress River and Plantation Lakes. 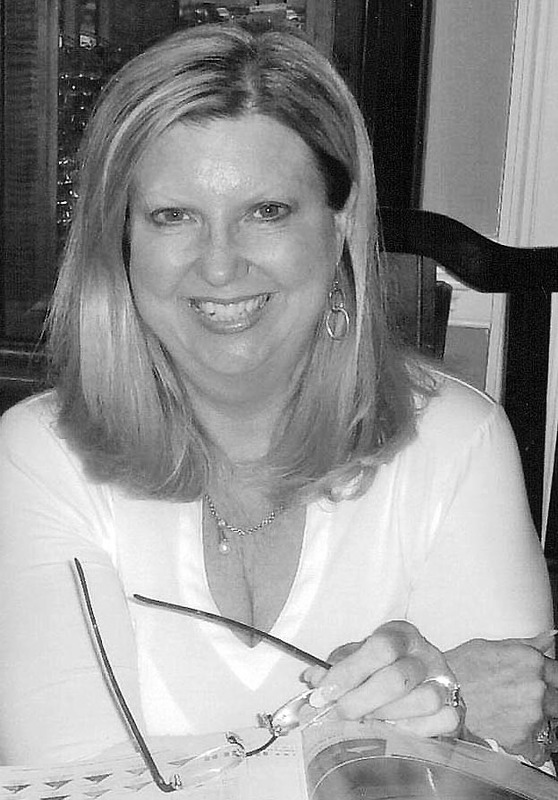 Linda has always had a keen eye for interior design and decor and regularly assisted her home buyers in finish, architectural design, furniture and custom window treatment selections during the custom building process. She is also highly skilled in assisting homeowners in staging their homes in preparation for the selling process. All of which sets her apart from the average Realtor and makes her an invaluable resource to her clients. Linda became a certified Foreclosure and Short Sale specialist in 2006 and has been assisting homeowners in navigating the short sale process ever since. Based on her experience in negotiating with lenders, she also assists homeowners in preventing Foreclosures focusing on a higher sale price and less negative impact on their personal credit. Over the last 30 plus years as a Broker, Linda has learned that the most important part of representing a client in either the buying or selling process is being a good listener. She then assimilates her client's needs and wishes to make their experience as smooth and pleasant as possible and to find them the property of their dreams. Her most important values as a Broker are to represent each client fairly and equally with the highest level of professionalism and integrity. Those are the skills and characteristics that keep her clients returning and referring her expertise to their family and friends! "Linda's great! Having been a home builder, her expertise transcends that of the average realtor. She expertly guided me through unforeseen problems with her skill and experience. Even though my budget was relatively low, she always treated me like a millionaire buyer and made me feel like a million bucks too!" "Thanks so very much for all of the help you provided in locating the perfect home for Karen and I. All of our friends could not believe that we had a realtor who was able and willing to locate and line up showings for so many homes in a two day period that met not only our budget requirements, but also were in the location we wanted and also the size that we required. You were willing to go the 'extra mile' to help us select our 'perfect' home in a 'perfect' community and get a signed contract in a weekend as you did. We could not have asked for a closing that went any smoother and quicker than ours did. Thanks also for all of your help with the rennovations that your folks completed before our move in date. It all could not have been able to be completed if it were not for your over seeing the many projects (new carpet/complete interior painting/laminate flooring install). Folks can't believe that you handled all of these projects for us while we were still living in Maryland. We will never forget all that you did to make our process of relocating and starting our retirement in Myrtle Beach a great experience." - Emerson & Karen T.
"We highly recommend Linda Kiser to anyone in need of a realtor in the Myrtle Beach or Conway area. My wife and I were new to the area when we met Linda. Her knowledge of the area was invaluable in helping us narrow our search. Her communication was consistently clear, on point and timely. Once we found a home we were interested in,Linda was skilled in the contracting process with open explanations and attention to detail. After we closed on our house , Linda continued her support-bringing flowers and dinner for our family! We couldn't have asked for a more complete or thorough realtor! Linda is not only our realtor, but we consider her a friend." - Ann and Dave V.
"Linda Kiser has been our realtor for the last several years. Between the two of us, we have purchased and sold 3 homes with her assistance and have appreciated all of her guidance. Linda is extremely knowledgeable in the real-estate business. She was a huge help in guiding us to get our homes ready to sell as well as helping us find the home that fit our family perfectly. We would recommend her to anyone wanting to buy or sell their home." - Floyd and Janel C.
"Thank you for helping us find our beautiful home and being patient and extremely knowledgeable and experienced in the real estate matters in the Myrtle Beach area. You guided us well. We are convinced that Murrells Inlet is one of the nicest areas to live. We went to the Maintenance Office of KA Diehl. Their employees are courteous and helpful. They are a well run company and it reflects in the way that the Wynbrook Complex is kept. The pool is clean and pleasant and the grass and foliage as well as the buildings and ponds are in clean and enjoyable condition. We went to the local beaches as well as Huntington State Park and Beach. All are kept clean and staff very helpful. Again thank you for a pleasant home buying experience and for sharing your vast knowledge in the real estate matters." "Linda Kiser is a great agent and would recommend her to all. She and I first spoke on the phone about the home we purchased in Garden City on a Friday evening in October, then with her help were able to enter into a contract within two days. This is despite the fact that I had yet to meet her in person and even walk through the home. She worked hard for us, including going over to the home and taking pictures, pointing out issues, and negotiating on our behalf as we got a tremendous deal. She makes herself available to her clients night and day and is very knowledgeable about her profession as well as the market she serves." "We are so pleased and thankful that we were able to have Linda help us find and purchase our home! We came to the area to search for homes and had to find one on this trip as the next trip we made to the area would be when moving here (from 15 hours away). Linda made this process as easy as it could be for us. She not only stayed in contact with us and kept us up to speed every step of the way, but when we arrived to view the homes she had everything ready and set including a folder with all the info we needed. We were able to go back to our condo in the evening and discuss all the homes we had seen that day! Linda also showed us homes not only in our price range, but with every single thing we told her we wanted in a new home. I have already given her name and number to one person and will continue to recommend Linda to anyone in the market to buy or sell a home!